I feel like I must start this post with a disclaimer…I am an avid Harry Potter fan. I spent my childhood attending midnight book releases at Barnes and Noble and sitting in lines for hours to see movie premieres. I recently cleaned out my closet and found more than 10 Harry Potter shirts…and forced myself to donate the one that really didn’t fit. It wasn’t easy. With all of this in mind, it’s hard to write a non-biased review of a new addition to a series I already love, but here goes nothing. I’ll start by saying that I thoroughly enjoyed immersing myself into the Harry Potter world once again. These are characters I know and love, and some of my issues with the plot were easy to ignore when I had the chance to read these old names on new pages. The script picks up right where the books finish, opening with the Potter and Granger-Weasley families shepherding their children onto the Hogwarts Express. From there, we’re taken on an adventure across time, literally, starring Harry’s moody and petulant son, Albus. A member of Slytherin, Albus has been convinced by Delphi Diggory, cousin of Cedric Diggory, that Cedric’s life needs to be saved in order to get some of the blood off of Harry’s hands (um, what?). In order to carry out this death wish, Albus, Delphi, and Scorpio (Malfoy’s son) break into the Ministry of Magic to steal one of the only remaining Time Turners from Hermione, the Minister of Magic. From here, the story takes on the qualities of Dickens’ “A Christmas Carol.” The trio travel back in time three times, suffering the consequences that occur when a small change in the past drastically changes the future: Voldemort World, Cedric the Death Eater, and Ron and Hermione’s tragic lost love. Albus and Scorpious must find a way to fix the future with the help of our original favorite trio, while facing a new and incredibly dangerous enemy, one who was a friend. While each separate adventure had its own bit of fun, I found the idea of the plot to be a little contrived. I know that this is a script, and therefore has a different life when it’s not being performed on a stage (as it is intended), but the idea of Cedric becoming a Death Eater because he was humiliated by his loss at the Triwizard Tournament seemed ludicrous to me. I also really hated the idea that Ron and Hermione would have remained friends just because they didn’t have a fight at the Yule Ball. At times it felt like this play was created purely to help us wade in a bit of nostalgia, bringing back old characters we loved and loved to hate and giving them a moment to shine again. The worst of which was Ron Weasley: we all love Ron because he’s a bit of a doofus. However, Ron’s character in this script was a complete joke. He was turned into an idiot with terrible timing, a feeble demeanor, and sub par dad jokes. After seven novels, I felt like Ron was not a static character. As he faced each challenge with Harry and Hermione, he grew to become a more skilled and capable wizard. Now he feels like the version of Ron we met on the Hogwarts Express as an 11-year-old, in other words, a buffoon. Not my favorite. Some of the altered futures however, were amazing to imagine. When Umbridge shows up in Scorpio’s face, demanding he stop fooling around in the lake and help her celebrate Voldemort Day, I was giddy. Yes, that meant the tragic death of everyone we loved from the original series, but the world was so dark and fascinating. The Nazi-esque Death Eaters chanting “For Voldemort and Valor!” To one another was pretty exciting. I’m not a Slytherin myself, but I enjoyed the new version of Hogwarts, complete with muggle murder dungeons and Dementors as castle guests. In the unaltered reality, I loved Hermione in all of her glory. She felt like the star of the play, and after the horrible race issues surrounding the casting of her role, I felt even more pride for how amazing her character is. Hermione is the new Minister of Magic. She’s powerful, but kind, skilled but humble, and a caring boss. She understands the seriousness of the situation and uses collaboration to save the day. She is by far the best character of the series, and luckily HPATCC doesn’t change that. Finally, and most importantly, I loved that this play was still filled with magic. It is no easy feat to put on a show filled with magic spells, disappearing humans, flying wizards, and characters walking around stage with their exact replicas, and yet, HPATCC does it all. Reading the script, even with its flaws, made me want to see the show even more than I already did. From what I’ve heard, it is a truly magical experience. In January I hit a huge milestone. A bucket list item, if you will. My husband, roommate and I flew to Florida to run the Disney World Marathon. The trip was a dream. We spent a week in Orlando playing at Harry Potter World, the Magic Kingdom, and Epcot. We ate every piece of food we saw and tried to drink around the world (we stopped in Germany). And for some reason, we decided that every vacation should end with a 26.2 mile run…right? Well, here are 17 thoughts (a little late, I know) I had while running my first marathon. 1. Next time I decide to do something that involves waking up at 2am, I need to remind myself not to. 2. Maybe one of these days I’ll actually want to eat before a race. Doubt it. 3. How is Florida so cold?!? Isn’t this a tropical state? 4. Star Spangled Banner time…don’t mind the crying girl. 5. The race is starting. The race is starting. The race is starting. Pace yourself. Pace yourself. Pace yourself. 6. Six miles already! This is going to be a breeze. OH WAIT THE CASTLE IS RIGHT THERE. THERE ARE PRINCESSES IN THERE. 7. Why did I think that?! I am an idiot. Where is the pacer?! I lost her! There she is! I caught up! Why did I run so fast. I think I might die. 9. I wonder where Roommate is. Maybe I’ll see him! (Nope. Never did.) I mean, how many people are running in Mickey Mouse boxers? Hmmm…kind of a lot, actually. 11. If we have to run one more step in the World of ESPN I am going to scream. 12. SIX LEFT. POWER THROUGH, LEGS. YOU CAN DO THIS. DRINK ALL THE GATORADE! Stuff Mom Never Told You (SMNTY): This podcast, hosted by Cristen Conger and Caroline Ervin, is a women-focused show that I credit with introducing me to feminism. These ladies tackle women’s issues in a very approachable way and aren’t afraid to tackle the biggest taboo topics. This week the ladies focused on our society’s obsession with baby bumps and how we’ve deemed pregnant women the opposite of sexual. This show is a fascinating listen that really opened my eyes to some of the amazing women in the world. Call Your Girlfriend: Hosted by Ann Friedman and Aminatou Sow, is a show for “long distance besties.” Coincidentally, I was introduced to this show by my soon-to-be long distance bestie and listened to all 24 episodes in two weeks. These women are intelligent, hilarious, and also love to talk about modern women’s issues. Each week they start with agenda that covers a variety of topics from politics to Beyonce, Menstruation News and beyond. In a recent episode these ladies begged journalists to stop reporting on Hillary Clinton’s wardrobe, as this is not something essential to any of her potential policy-making. A great listen for all the baby feminists out there or even just devout T. Swift fans. The Nerdist: Hosted by Chris Hardwick. I absolutely adore this show. Chris hosts a variety of guests with whom he sits down for simple conversations. No scripts, no direction, just a lovely chat. He has a way of getting celebs to open up to him and I find myself surprised when the hour is over. Every time I listen to a new guest I’m always dying to see the show they’re promoting and I’m usually not wrong. Recently Billy Crystal visited Chris and spent the hour telling amazing stories from his experiences as a comedian. You’ll hear actors, producers, cartoonists, casting agents, technology gurus, comedians, you name it! You don’t even need to be a nerd to enjoy listening to the show! Freakonomics: Hosted by Steven Levitt and Stephen Dubner. I haven’t listened to every episode of Freakonomics, but the episodes about our current education system are absolutely fascinating. These two economists, well a journalist and an economist, look at societal issues from a different angle. They aren’t afraid to make controversial claims and talk about issues without holding back. In my favorite episode, they talked about the state of tipping in our nation. Because we are a country that runs on tips, we are basically corrupt. Good service doesn’t guarantee a great tip and bad service doesn’t guarantee a bad tip…but what exactly does a ‘good tip’ even mean? To hear their argument stated in a much more eloquent way, give the show a listen. After a grueling 12 weeks in my own classroom, I’ve put some passing thoughts together. I call them “passing” thoughts because I haven’t had space in my brain for anything more than a passing thought. 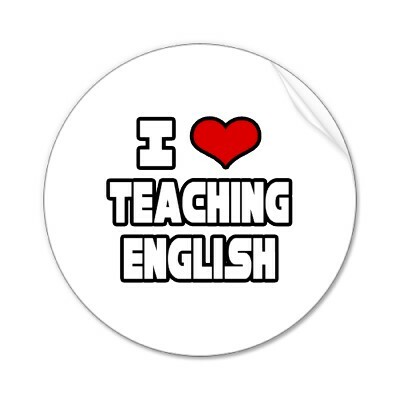 So here they are…my disjointed, unorganized, all-encompassing passing teacher thoughts. 2. I sleep (usually at 9:00 pm) because I MUST. 3. This is expensive. Who knew classes needed so many things?!? How did it end up being $600 worth of things?! 4. If I didn’t have so many meetings about my students and what I must do for my students, I might have more time to plan fun things for my students. But I need the meetings and I need the information, so this is a pickle. 5. Why did I choose to train for my first marathon right now? 6. Alarm clock is set for 4:00 am. 7. I care too much. 8. I get grumpy easily. 10. If you love me, bring me potato chips. All of the potato chips. 12. What can we do to motivate our students? Why don’t they want to be here? Why won’t they try? Is it something I’m doing wrong? 13. Is it always my fault? 14. I miss cooking at night. So I’ve taken this huge step in my life, experienced this huge change…and it just keeps going. I must learn to be fluid. I must learn to accept change. This is my path and my life. My passing thoughts. Tagged with from the classroom, Mrs Mowry is back! This weekend I had an interesting conversation with a friend who is a speech pathologist. We both work in schools with active anti-bullying programs. Because we are both employed by public schools, we had to receive training to recognize the different types of bullying and how to prevent them. We’ve seen young children ‘test’ mean statements on one another. After the child sees a classmate or playmate become visually upset, he usually knows that mean behavior isn’t acceptable. The child usually feels guilty. He or she notices that bullying words have a negative effect, thus preventing further bullying. The internet has changed this learning dynamic. When a child practices bullying online, he or she doesn’t get to see the hurt they’ve caused. They don’t suffer the negative repercussions. So what would trigger a psychological reaction to prevent future bullying? Nothing. So why is this important today? To start, social media use is at an all-time high. A Pew Research Center study of teen and adult social media use shows that 81% of teens are using some form of social media: Facebook, Twitter, Instagram, YouTube, etc. While I celebrate the technological literacy in teens, I mourn the amount of cyber bullying that is running rampant on the internet. In October, a 12-year-old girl took her own life after being bullied by two of her female classmates. These girls repeatedly told her that she was ugly, that no one liked her, that she should kill herself…so she did. Without adult supervision on the internet, teens can say and do what they want. Teens are even finding new social media sites because they’re trying to avoid their parents on Facebook. So what can we do? It is our job as adults (and mine as an educator) to prevent bullying, both online and in person. If your child approaches you with a problem, LISTEN. It may not be the usual teenage drama. Watch for extreme changes in behavior (Note: I know that teens are bursting with hormones, but I’m not making a joke here. Extreme changes.). I know your child wants privacy, but safety needs to come first. In my short time as a teacher, I’ve seen too many teens terrorize one another over the internet, especially in junior high and high school. 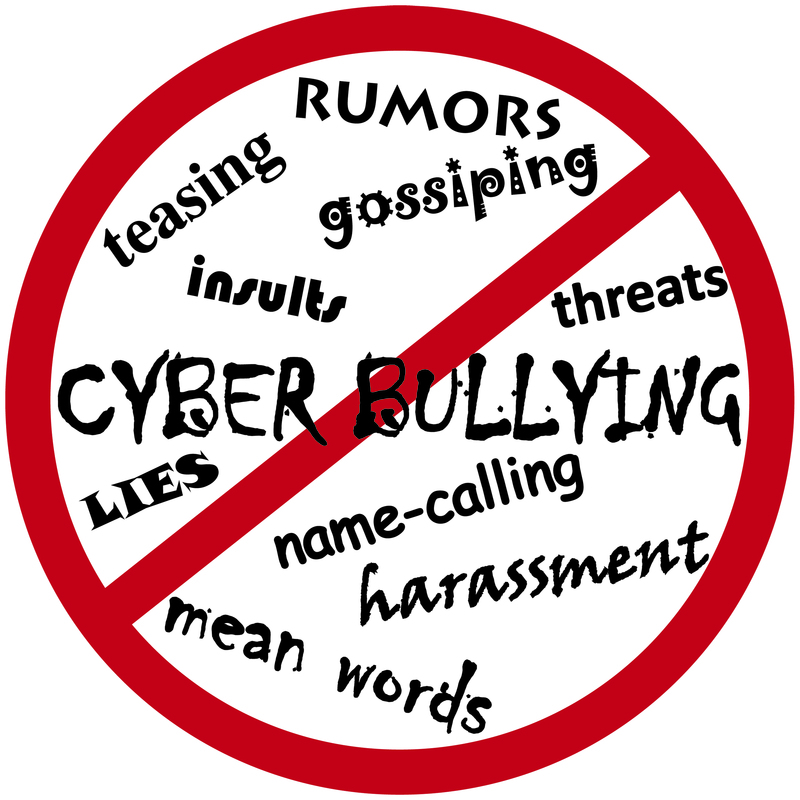 Coach your child on his or her options to remove a bully from their social media sites. Facebook allows you to delete friends and block them. You can report bullying to HR and have the bully’s account suspended. Instagram and Twitter have similar security measures. If a teen is being bullied over text messages, you can have the number blocked. Be open and honest with your teen. It may seem like an overreaction to go to such measures, but if it saves a child’s life, it’s worth it. Remember, bullying and teasing are two different things. When a teen is bullying another teen, those words are designed to hurt. The internet is a great place to completely slander another person without having to suffer any consequences. A screen can’t show emotion, a screen doesn’t show an emotional reaction. 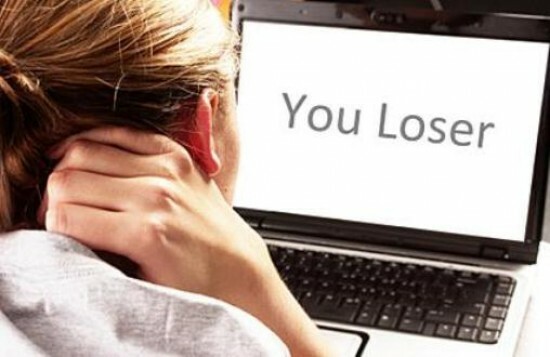 Cyber bullies can hide behind anonymity and distance to do permanent psychological damage. Don’t let that damage become part of your child’s life. I like to believe that I have a well-stocked kitchen. If you ask my husband, I have an over-stocked kitchen. This is also true. I am not alone though! My mother-in-law beats me in this category by a landslide. While our cabinets may overflow with some strange foodie gadgets, asking us to throw one away would be akin to asking us to get rid of a beloved pet. We may not make fresh pasta for every meal, but we do make fresh pasta occasionally! In large part, it is due to her that I have such strong opinions on what every young cook should have in their kitchen, beyond the basics. Every person should have a dutch oven. Whether it’s a Le Cruset or a 50-year-old iron behemoth from Ebay, it’s a must. A Dutch oven is a great way to slow-cook stews, roasts, sauces, you name it. The thickness of the iron helps cook foods evenly and keeps them hot. A Dutch oven also helps keep meat juicy while you cook it. No one can say no to tender meat! A food processor doesn’t just help make meal prep faster, it’s a great tool for making salsa, bruschetta, humus, etc. While most food processors are tricky to clean, the time you spend cleaning the Cuisinart is less than the time it would have taken to chop all of those vegetables. Think about it. If you have crappy baking pans, you will have crappy cookies. Throw away your old, burnt, ugly pans and buy new ones! I love Chicago baking pans. They’re not shiny, they’re non-stick, and they’re durable. I got an entire set for our wedding and I use them for nearly every meal. I even got a roasting pan that made my roasted chicken a family favorite! Invest in a set of Chicago pans, they’re not that expensive and so worth it. 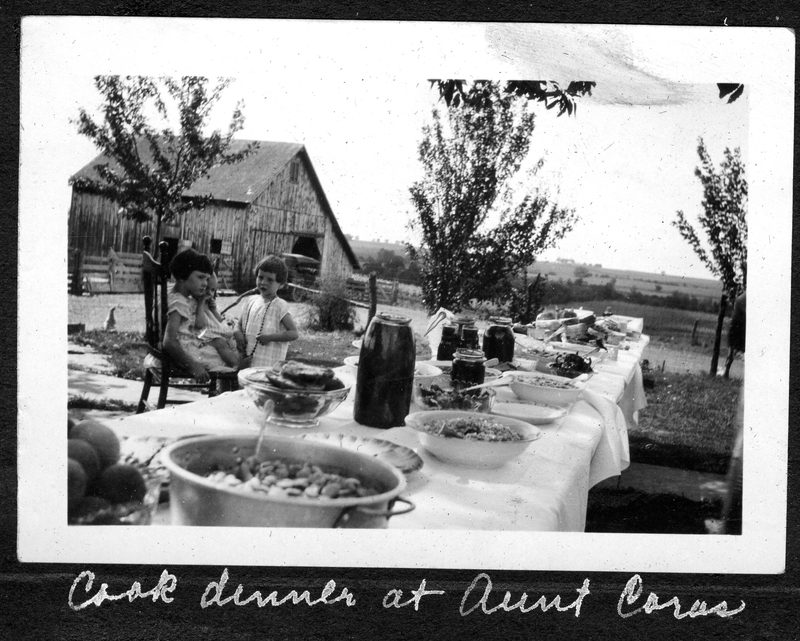 Now, one could argue that a Dutch oven and a crock pot are basically fraternal twins. They’re not. They’re distant cousins that do two very different jobs. A crock pot is a gift to the working people. Prepare a meal in the morning, set it up in the crock pot, leave it alone all day and have something amazing when you get home. A Dutch oven requires time and attention which are great for a Sunday night dinner that you started cooking at 3 pm. A crock pot, however, requires little effort and has a great pay-off. It’s just so easy. I saved the best for last. My baby. The star of my kitchen counter- my Kitchen Aid. I adore this mixer. 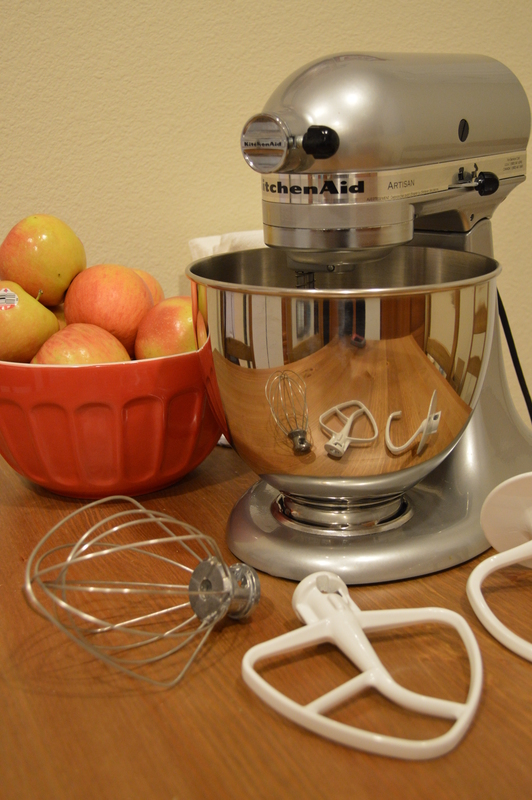 I’m glad I got married, not only because I love my husband, but because I got this mixer as a wedding shower gift. Velda was the person who gave it to me. Many say that having a stand mixer is a waste of counter space. They say that it just sits around going unused. WRONG. That mixer has helped me make amazing cookies. It’s helped me bake cakes, whisk eggs, beat dough, and make muffins. My Kitchen Aid has helped me smile on a sad day. It made me famous at work for Peanut Butter Cup Cookies. It helped me surprise my husband with tasty treats after a rough day at work. I should probably give it a name. Or take a photo with it. If you want to become a great baker, get a Kitchen Aid. I am a pretty fine baker, if I say so myself and half of the credit goes to my mixer. It’s reliable. It’s sturdy. It has multiple attachments and a flour shield. It has a great warranty and you can buy so many awesome accessories for it! I’ve definitely got my eye on a pasta-making attachment. Needless to say, this mixer is worth it’s hefty price tag. This is my short list of kitchen tools. I could go on about fancy skillets, garlic presses, rolling pins, or fine knives, but I won’t…at least, not yet. With these five things, you can convince anyone you’re a good cook. Even if you’re not, you can at least prepare decent meals for yourself with very little effort. 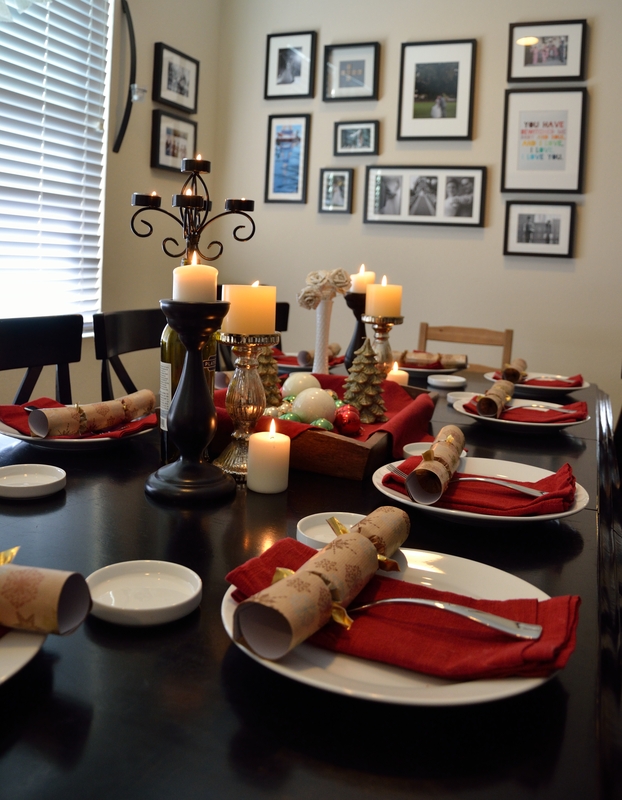 Incorporating cooking dinners into life can be challenging, especially for the inexperienced. Practice makes perfect! And great tools make everything easier.